Summer is here! Time to whip out all the BBQ recipes & get to grillin! Enjoy this super easy & fast shrimp kebab recipe. Rinse the shrimp with cold water & lemon juice. Put the shrimp in a large freezer bag, pour all seasonings on top of it. Seal the freezer bag tightly ensuring little to no air inside, then mix the shrimp around the marinade until all the shrimp is evenly coated. If you have time, let the shrimp marinade for at least 2 hours in the fridge. 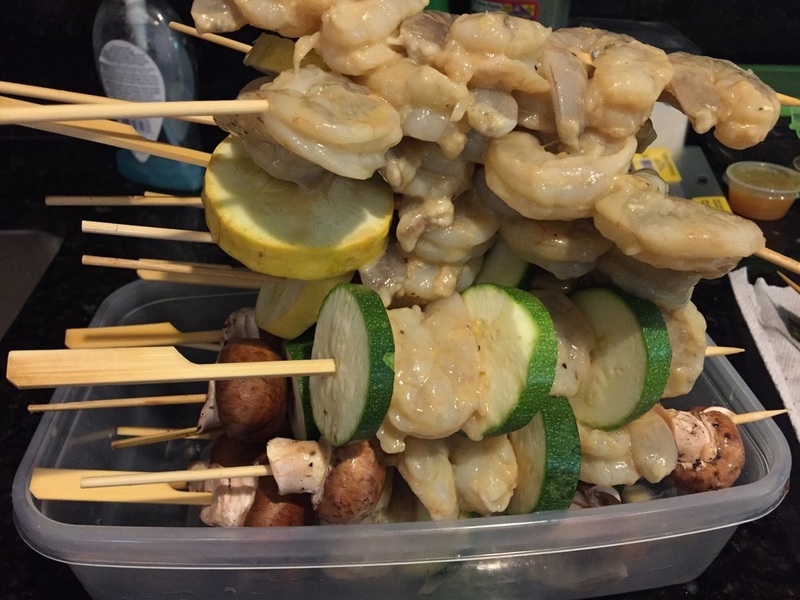 Slide the shrimp onto skewers if desired (soak the skewers for 30 mins prior in water). Add vegetables as desired. Grill on medium heat until the shrimp is cooked through (~5 mins), turning so the shrimp is cooked on both sides.